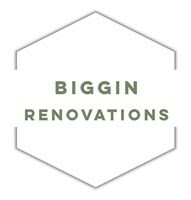 Biggin Renovations - Builder based in Biggin Hill, Kent. Since 1989, Biggin Renovations has been recognized as a top renovation and home improvements firm throughout Greater London, Surrey, Sussex, Berkshire and Kent. As a family owned business, we’ve provided clients with a wide range of specialist services for all of their residential and commercial property needs. Whether you want to renovate your existing spaces or build new ones by way of an extension, our team of fifty professionals will bring your dreams to life. Contact us to receive a free estimate today.